Use the health insurance rate comparison tool above to find the best health insurance rates where you live today. Type your zip in the box now! The Cumis Insurance Society, Inc. has been given an A (Excellent) rating from the A.M. Best Company. The company has also received a financial size category rating of IX. This rating indicates that the company earns $250 to $500 million annually. There are three main subsidiaries associated with the parent company of Cumis. 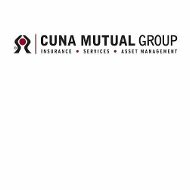 The three CUNA subsidiaries are Members Capital Advisors, ProAg, and CPI Qualified Plan Consultants, Inc.
Members Capital Advisors is an asset investment company that was formed in 1982. This company also works closely with credit unions. ProAg stands for Producers Ag Insurance Company. This insurance company mainly focuses on the specialty market of crop insurance. This company was originally formed by a single crop insurance salesman in the 1920s. Today, ProAg is a leading supplier of crop insurance that is federally subsidized and special hail insurance for crops in the United States. CPI Qualified Plan Consultants, Inc. is an administrative and record keeping services company that provides assistance to retirement and investment plans. This company was founded in 1972 and is located in Kansas. This company became a subsidiary of CUNA in 2009. The types of investment products and services Cumis offers are annuities, IRA services, and brokerage services. The types of employee benefits an employer can get through Cumis include 401(k) and other retirement plans, executive benefits, group benefits, and benefits pre-funding services. The employers that purchase group employee benefits are able to customize their own plan based on their company’s needs and limits. The types of life insurance available to credit union members through Cumis are term life insurance and whole life insurance. Term life insurance is one of the least expensive forms of life insurance coverage available. A whole life insurance policy offers fixed premiums and a cash value that actually builds up over time. Life insurance is an important investment to make because it offers the policyholder’s family peace of mind when their loved one passes away. The last thing a person should have to worry about while grieving is paying for a funeral, unpaid bills, and the loss of an income. Long-term care insurance is available through Cumis as a way to protect their policyholders from the high expenses of needing long-term care. This policy can help pay for medical expenses that are not covered by other policies, as a way to supplement Medicaid or Medicare, minimize the financial burden of things like nursing homes, and provide a safety net for retirement funds. Compare health insurance rates now by typing in your zip code!